bObsweep vs Roomba - Which is the best robot vacuum under $300? In this bObsweep vs Roomba robot vacuum comparison, we want to find out which is the best brand to buy when you’re on a budget. You will agree with me that $1000 for robot vacuum is too expensive. However, with a budget of $300, you should get the perfect floor cleaner. 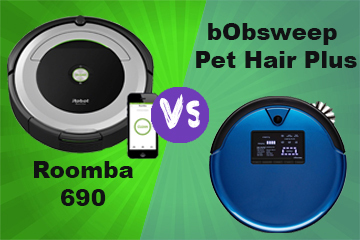 Today’s battle features Roomba 690 vs bObsweep Pet Hair Plus which are the best vacuums under $300 from both brands. We all understand that iRobot vacuums are expensive. While iRobot 690 may be an entry-level Roomba at $300, the Pet Hair Plus is a top of the range model from bObsweep, at the same budget. bObsweep vs. Roomba; which is the best robot vacuum? Before we dig deeper, here is a review of the two models. The Roomba 690 is the elite series from the 600 series that sweeps and vacuums. It has been designed for hardwood floor vacuuming and handles low pile carpets well. The vacuum boasts the three-stage cleaning system but with a 1st Generation motor and HEPA style filters. The robot vacuum also comes with Dirt Detect for finding areas with concentrated dirt. Above all, it comes with WiFi which makes it smart home ready. Another thing iRobot offers is the Virtual Walls boundary marking, but it comes with only one dual mode Virtual Wall barrier. Apart from 690, we have several other cheap iRobot vacuum cleaners. The iRobot 675 is also an excellent choice for the same budget but note that it doesn’t come with any dual-mode Virtual Walls node. We have already compared Roomba 675 vs. 690 in one of our reviews. 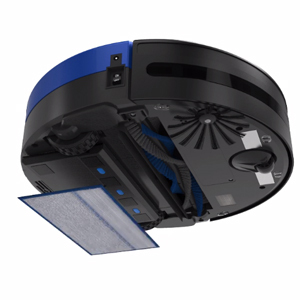 Another option would be the iRobot 890 which comes with a bigger motor for 5× more air power. The brush and filtration system are also upgraded, so it is better than the 690, but costs almost $100 more. We have even compared Roomba 690 vs. 890 on this website. Make sure to read the review before you make a choice. This is a great model designed for homes with pets. As we said, bOb is the latest model, and one of the top features it has is the mopping function. bOb Pet Hair Plus will sweep, mop and vacuum. Additionally, it has a UV lamp for sterilizing floors. We like the fact that at $300, you get a robot vacuum with exceptional suction power compared to the 550Pa the 690 offers. The sacrifice, however, is smart connectivity as this cleaner comes with only a remote control. You also get the convenience if a digital display on top of the remote control. bObsweep is also an old brand but hasn’t been in the game for longer than iRobot. Besides the the Pet Hair Plus, we have several other robot vacuums to choose from. The predecessor to the Pet Hair Plus is the Pet Hair which has lower suction power and a smaller display among others. We also have the bObi Pet, bOb Pro among others. Typically, there are those aspects you will definitely consider when buying a robot vacuum cleaner. In this main part of our iRobot vs. bObsweep review, we have everything that matters – from the design to cleaning performance and convenience. For each aspect we discuss, we will be detailing what each brand offers, and the winner per segment. So until the end of this review, stay with us. Even though they are all round-shaped, bOb and iRobot are entirely different in terms of size and color. Here is how the two compare. iRobot 690 is available in only one finish; black and silver accents. The diameter is 13.4-inches, and it stands at 3.6-inches. 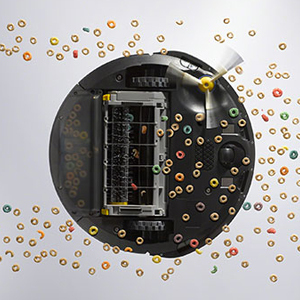 When it comes to weight, the iRobot 690 is only 7.8lbs and is among the lightest iRobot vacuums. As for bOb, there are five color options; cobalt, rouge, champagne, midnight and charcoal. In terms of dimensions, this one is a little bulkier as the diameter is 13.8-inches and stands at 3.9-inches. At least it is light just like Roomba at 7.7lbs. Winner – Here, it is hard to call a winner because iRobot has its good side, and so does bOb. If you want a flashy robot vacuum, you will love bOb because of the striking colors. But it tends to get stuck under furniture because of the 3.9-inches height. This is the most crucial part of this comparison review. We will compare the features that determine cleaning performance and also share the cleaning results from our exclusive tests. So, without further ado, let’s start comparing the two. Robot vacuums are highly specialized. So, make sure that the cleaner you buy suits all your cleaning needs. So, what is bOb and iRobot best for? To start, the Roomba 690 offers 2-in-1 cleaning meaning it sweeps and vacuum. The vacuum has been fronted by the company as best for hardwood floors, carpets, and pet hair. We will analyze this in detail in our cleaning test results. On the other hand, the Pet Hair Plus offers 5-in-1 cleaning where it sweeps and vacuums like iRobot. On top of that, it will mop and UV-sterilize floors. bOb has been fronted for hard floors cleaning, carpets, and pet hair as well. Winner – Here, Bobsweep floors iRobot now that it has extra cleaning abilities – mopping and UV sterilization. Also known as vacuum power, the suction of a robot vacuum plays a crucial part in the cleaning process. The motor is the component responsible for producing suction power which is measured in Pascals; the higher, the better. iRobot 690 comes with an old 1st Generation motor that delivers an average of 550Pa. This is quite low output and the reason it is not recommended for carpets. When it comes to bOb, we have an upgraded motor that produces four times more vacuum power than the predecessor, bObsweep Pet Hair Plus. Winner – The bOb Pet Hair Plus is the winner here because of a more powerful motor and output. The brush system is just as important as the suction power. There is the primary brush for agitating and picking up dirt and another for sweeping the sides and channeling dirt to the main brush area. So, how do iRobot and bObsweep compare here? 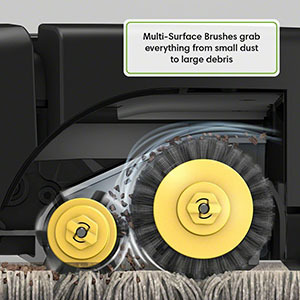 Roomba 690 comes with the trademark dual multisurface bristle brush. There is one for agitating dirt and another for picking up the dirt. On the side, we have a single side sweeping brush. The bObsweep Pet Hair Plus also comes with a primary brush and a secondary brush. The primary brush is a single spiral bristle brush. To complement it, there is a side sweeping brush just like Roomba. Winner – We really like iRobot’s dual multisurface brush system. However, it is bObsweep that carries the day for two reasons. First, the spiral brush is longer at 11-inches and has been designed to reduce tangling which is a major problem for Roomba 690. Second, the sweeping side brush is also longer and sweeps wall edges better than iRobot. Robot vacuums also help to filter the air in your house by capturing the elements that cause bad odor and also allergens that trigger symptoms like sneezing and wheezing. 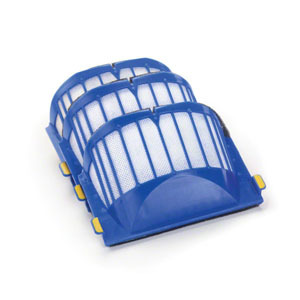 The best filtration system is true HEPA which captures 99.97% of allergens and filters down to 0.3 microns. Roomba 690 comes with the old Aerovac filtration system that combines HEPA style filters. Even though they are efficient in capturing all allergens, it filters down to 10 microns only meaning the tiny particles remain in the atmosphere. bObsweep, on the other hand, has been designed with a HEPA filtration. 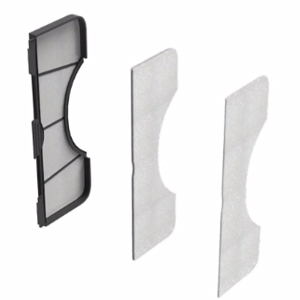 It filters 99.97% of allergens and filters down to 3 microns. Winner – The Pet Hair Plus is the best choice here. If you have allergies and pets, you definitely want a cleaner that has true HEPA filtration. iRobot 690 filters down to 10 microns while bObsweep can narrow down to 3 microns. This is a unique feature that finds areas with concentrated dirt. Roomba 690 comes with Dirt Detect series I which uses acoustic sensors to find dirt. Once such an area is spotted, the vacuum will head there and automatically switch to Spot mode where it cleans in a circular pattern until all the dirt is cleared. Unfortunately for bOb, we are yet to see such a feature. Winner – iRobot carries the day here because its competitor lacks the feature. Another important consideration when buying robot vacuums is the bin capacity and the features it comes with. You should get a vacuum with a large bin so that you don’t have to empty it frequently. A mechanism for notifying you when the bin is full is also desirable. 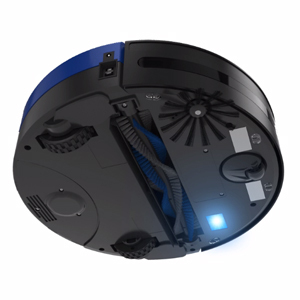 Roomba 690 has been designed with a 0.3L bin and a full bin indicator. The indicator helps to notify homeowners when the cleaner requires emptying. As for bObsweep, we have a larger 1.1L bin, but unfortunately, there is no full bin indicator. Winner – Here, you have to choose between a larger bin or the full bin indicator. The full bin indicator is a great feature, but then, it doesn’t outdo the importance of a large bin. Bobsweep can hold more dirt, so you don’t have to be emptying it daily. At Robotbox, we always value cleaning tests and here, we want to share the cleaning tests results after intensive tests. We tested the cleaner on bare floors, low pile carpets, and high pile carpets as well. To give you a picture of how they performed, we used the common household dirt including Cheerios, sugar, flour, kitty litter, rice and pet hair. So, did bObsweep outshine iRobot? Let’s find out. Roomba 690 did an excellent job on bare floors. The cleaner picked all the dirt without a problem save for a few patches of small flour particles that were left behind. We moved to low pile carpets and here, the cleaner managed to pick up all the large dirt particles; rice, sugar, kitty litter, and Cheerios. However, flour was a problem because the tiny particles hide inside the carpet pile. On the high pile carpet, the 690 was overwhelmed and managed the large dirt particles only leaving behind most of the sugar, flour, and rice. Some pet hair also remained stuck on the carpet. The Pet Hair Plus also did an excellent job on the bare floors. It vacuumed all the flour, rice, sugar, kitty litter and pet hair that we put on its way and left no flour patches at all like iRobot. On low pile carpets, the vacuum’s performance was also exemplary only that a few flour patches remained behind. The real test was high pile carpets where a lot of flour and sugar remained behind. Winner – On bare floors, both vacuums did an excellent job and calling a winner may be hard. However, from the performance on carpets, it is clear that bObsweep is the winner and this is courtesy of the high suction power compared to iRobot’s. The runtime of robot vacuums is also an important consideration as it determines how long the robot vacuum will run for and ultimately, the floor area it will cover on a single charge. Besides the runtime, you should also consider power management, and this is all about how the vacuum recharges, and if it resumes cleaning thereafter without further prompting. 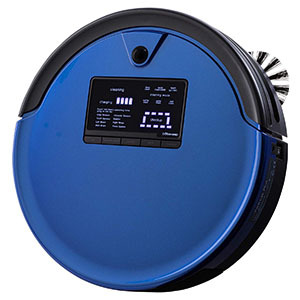 An ideal robot vacuum should have a powerful battery that can manage cleaning your entire house on a single charge. It is also worthy to buy one that can resume cleaning after recharging. Roomba 690 comes with a 1800mAh lithium-ion battery. It will last it for around 60 minutes on bare floors and slightly shorter on heavy carpets. Just like all iRobot vacuums, it will recharge when the battery drops below 15% and takes an average of 3 hours to recharge. Unfortunately for this model, it will not resume cleaning after recharging – only the 900 series and i7 series have the auto-resume function. As for the Pet Hair Plus, we also have a lithium-ion battery, but slightly bigger as it’s rated 2200mAh. But it just lasts 60 minutes like Roomba 690 and won’t resume cleaning after recharging. The recharge time is 3-4 hours. 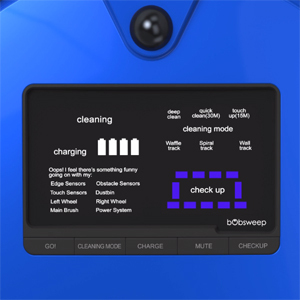 Unlike iRobot, no bObsweep robot vacuum resumes cleaning after recharging. Winner – It is hard to call a winner here as both vacuums offer the same battery technology, runtime, and power management. I would, however, go for iRobot as its battery has a longer life cycle (18 months) compared to bObsweep (12 – 15 months). Robot vacuums have wheels for maneuvering and a navigation system that guides the vacuum cleaner. Navigation and maneuverability is very important as it determines the coverage of the robot vacuum and most importantly, the efficiency. If you have a large apartment, you want a robot vacuum that will reach all the areas and do the job faster. For high-traffic rooms, the navigation is also a critical consideration as you want something that won’t be hitting obstacles around. So, how does the iRobot vs. bObsweep battle take shape? Roomba 690 comes with a SLAM (Simultaneous Localization and Mapping) system called iAdapt 1.0. There are drop sensors for detecting stairs and obstacle detection sensors that detect obstacles. To find its position in the house, the sensors send invisible beams to the walls, and when the beams bounce back to the cleaner, it calculates its position from the major landmarks. As for maneuverability, this vacuum has large offroad wheels that can climb any obstacle lower than 0.625 inches. Unfortunately, this cleaner has no elaborate cleaning pattern. It moves randomly, and that is the reason it may miss some spots in large apartments and takes longer to clean. As for boundary marking, the 690 has been designed with Virtual Walls technology. It, however, comes with only one dual mode virtual walls barrier, so you need an extra one to get the most out of it. Bobsweep is not any different from iRobot because its navigation is also based on a SLAM system. The cleaner also features anti-drop sensors and onboard obstacle detection sensors. Localization is also made possible from data the cleaner receives after sending a beam to the walls and back to the robot vacuum. There is no definite cleaning pattern just like Roomba. The robot moves randomly and may also miss some spots if you have a large apartment. In high-traffic rooms, bObsweep will also hit obstacles here and there. To limit the robot vacuum, bObsweep boasts a technology similar to Virtual Walls called blOck Plus which sets invisible barriers in the house. When it comes to maneuverability, this robot vacuum has large offroad wheels as well and can turn 360 degrees. Winner – There is no much difference between the navigation and maneuverability of these robot vacuums. Essentially, they are all SLAM based, but I would go for bObsweep as it has the latest software which makes data processing faster. You can note this when the two are in a high traffic room. Roomba will hit obstacles more times than bObsweep. As far as boundary marking and maneuverability is concerned, they are equal. Robot vacuums are meant to make our life easier. You need to consider features like smart connectivity, remote control, display among others. All these are features that make robot vacuums convenient compared to traditional vacuums like the canisters, uprights and the stick & handheld. So, how does the operation of iRobot 690 compare to bObsweep? Roomba 690, as old as it is, supports 2.4GHz Wi-Fi for remote operation. You can control your vacuum cleaner from the Smartphone app from wherever you are. The robot also supports Alexa and Google Assistant compatibility among other integration. This robot vacuum also has a seven-day scheduling function so you can program it to clean at specific times throughout the week. No physical remote controller is available for this cleaner. bObsweep, on the other hand, comes with a large LCD which makes operation convenient, but somewhat complicated. Instead of representing error codes in numbers, the display now troubleshoots the errors in words. You no longer have to rush to FAQs to diagnose the error like in Roombas. Unlike iRobot with a single automatic clean button, we have a couple of buttons. There is also a remote controller that operates from 13 ft.
A seven-day programming function is also available. So far, bObsweep doesn’t have any smart features, so mobile app operation and Alexa are not options. Winner – The advantage of bObsweep is that it has a remote controller and a vivid display. If you are not into the connected world, this will be a great option. However, we can’t deny the fact that Wi-Fi robot vacuums are the in thing. That said, the crown goes to Roomba 690. 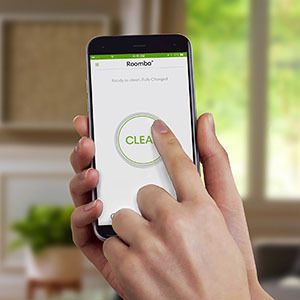 You don’t need the physical remote when you have the iRobot Home App on your Smartphone. Alexa is also another remote control platform. Now, we are almost winding up this iRobot vs. bObsweep comparison review. But which is the best choice? To start, it is imperative that you understand each of the two vacuum cleaners has its strengths as well as shortcomings. Here are the highlights before we make a final verdict. Affordability – The Pet Hair Plus is the best vacuum from bObsweep and costs the same as Roomba 690 which is an old model from iRobot. Extra cleaning functions – While iRobot vacuums offer sweeping and vacuuming only, the Pet Hair Plus will sweep, vacuum, mop, and UV-sterilize floors. Larger bin – With bObsweep, you no longer have to worry about a full nib everything. It comes with a large 1.1 L bin – almost four times larger than what iRobot offers. High suction – With bObsweep, you get higher suction power than iRobot 690 which makes it suitable for carpets. Longer warranty – Bob comes with a longer two-year warranty. Even though this doesn’t mean that it lasts longer, it is better than iRobot’s one-year warranty. 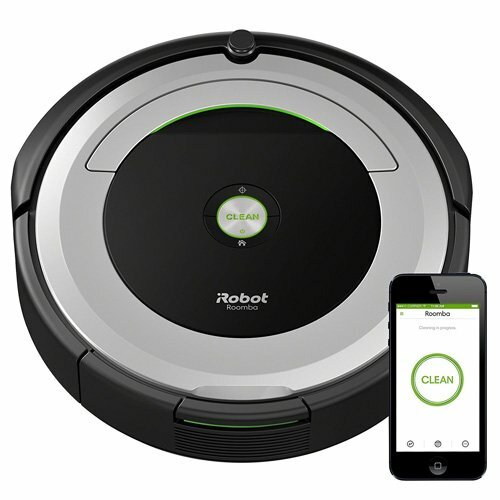 Smart connectivity – Even though this is an entry-level robot vacuum, it offers WiFi functionality for Smartphone app operation, Alexa/Assistant connectivity, and 3rd party integration. Dirt Detect – This is a unique feature that finds areas where there is concentrated dirt and notifies Roomba which heads there and switches to Spot mode until the dirt clears. Low profile design – iRobot is shorter than bObsweep so it will go under furniture with a much lower clearance in a better fashion that bObsweep which may get stuck like Neato Botvac D7 also. The bOsweep is the best choice if you are on a $300 budget. Yes, it doesn’t have Wi-Fi but remember these are secondary features. The most important thing is a robot vacuum is the cleaning performance. The Pet Hair Plus has better suction power, HEPA filters and most importantly, mopping and UV sterilization. These are unbeatable features that every homeowner shouldn’t resist. So for the best value for money, we go with the Pet Hair Plus as the winner. How to get Grease out of Carpet? What is the Best Shark Vacuum for Pet Hair?